Last year it was The 2 Steves. Before that it was Julia Golding and in 2010 Marcus Sedgwick. This year over 400 children from five Abingdon secondary schools came together to welcome Alan Gibbons for the annual Abingdon Joint Schools Author Event - easily one of the highlights of our school's event year. 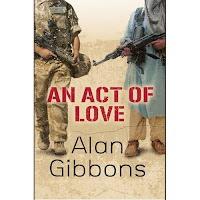 Officially, Alan Gibbons is 'a Blue Peter Award-Winning Children's Author'. Unofficially he's a hyperactive bundle of subversive ideas and creative energy who by turns gripped and entertained his audience over two sessions last Thursday. Those lucky enough to be on the end of his fizzing, rapid-fire romp through his writing life didn't just discover about his books - they got tips on a whole host of important life lessons, ranging from what to read and why, to the correct application of foundation, and 'where to put your nose when kissing'. 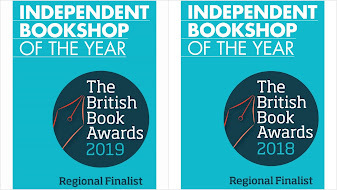 Alan is the author of over fifty books, and he has been unafraid to tackle often dark and disturbing themes which at times makes his writing challenging - but he's such a natural and optimistic storyteller that readers inevitably emerge on the other side of his books, changed - but full of hope. 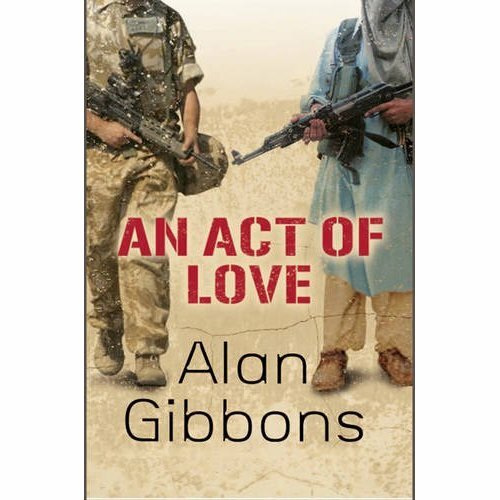 Alan was talking about his latest title - 'An Act of Love' - but he also took students through other books he has written. He estimates he does nearly 200 school events a year, not just in the UK, but around the world. 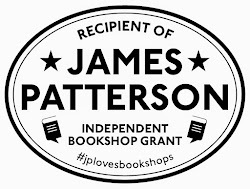 He won the Blue Peter Award in 2000, and if you had to draw up a more intimidating list of authors to have been against, then I challenge you to pick a line-up better than Jacqueline Wilson, JK Rowling, Michael Morpurgo and David Almond (a sort of 'Real Madrid' of children's authors if you like). As an ex-teacher (and one with some serious firebrand pedigree – he once jumped up on stage, grabbed the microphone from Keith Joseph and was ‘helped’ offstage by security) he’s both vociferous and uncompromising when it comes to children and learning. Believing that children shouldn't do comprehension ("children should read 'Of Mice and Men' for example, then write what they think as a result, with no rules...and that’s it") he nevertheless had a great tip for any budding writer to improve their writing. His own recommendations of classic children's literature included 'Emil and the Detectives', 'Treasure Island', 'Danny, The Champion of the World' to 'To Kill a Mockingbird' and 'Jane Eyre'. There were some great questions from the audience, including "How old were you when you first started writing?" (37), "How many books have you written?" (53) and "If you had a hamster, what would it be called?" (Darth). My personal favourite – which character in literature would you have wanted to have been. The answer: Rochester from Jane Eyre ("gets to marry Jane Eyre") but not Heathcliff ("far too destructive"). My next book is called 'Raining Fire', it's now written and is going to be published on March 7th. It's about gun crime and gangs in the North of England. The book I'm currently working on is 'Hate Crime' which is a novelisation of the real-life murder of Sophie Lancaster, killed for wearing alternative clothing. However, I'm already planning my next novel, and (although my publisher doesn't know it yet!) it's an alien invasion story which is an allegory of the war in Iraq. So I'm keeping busy, writing lots of stuff really. Do it a lot! You learn to write by writing, and also making mistakes. The best thing about writing for children is that most kids are charming, and therefore school visits are the absolute highlight of my writing life. The worst thing is that there are not that many kids around, so you don't get as many sales. But that's not a problem, I love what I do and I'm totally committed to children's education and literacy. I love that REAL MADRID of writers line! Classic. What an inspiring man. Great writing tips. Couldn't agree more about how to teach children's literature - just read, and then write about the book - no discussion. Pullman and Morpurgo have expressed similar views. Pullman says some books affect you so deeply as a child you can't talk about them. This is true for me. I've never heard that quote about a children's book before - so what you are saying is that 'forcing' children to write/talk about a book is not always a good thing?